I used the sketch from this week's CAS(E) this Sketch - CTS#197 challenge. 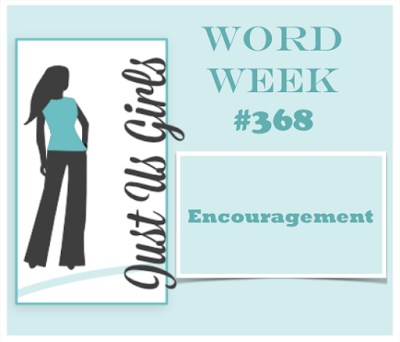 The colours are from CAS-ual Fridays Challenge - CFC#160 and the theme of encouragement is from Just Us Girls - JUGS#368. 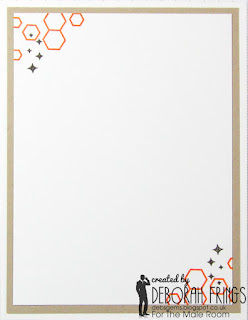 I cut a panel of kraft card for the top of the card and randomly stamped "atomic" structures in different colour inks. I stamped the sentiment at an angle and embossed it with clear powder. On the inside I cut a mat layer of kraft card and added a few images to the white panel. This card will go in my stash - it's just the sort of card I'll send to Ben. 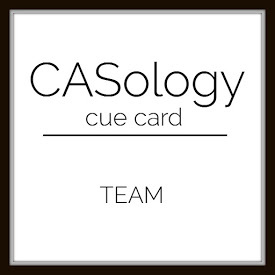 I've used the colours from Less is More - LIM#301 - gold and purple - for this card, and I think this works for CASology - CAS#223 where the cue word is TEAM. 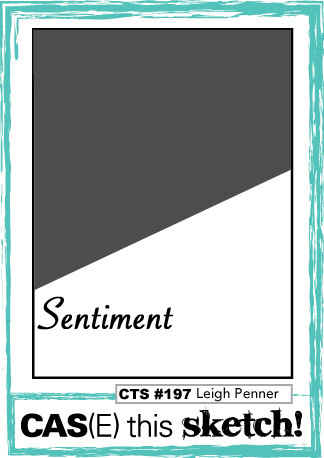 I stamped the sentiment first in black and heat embossed it with clear powder. 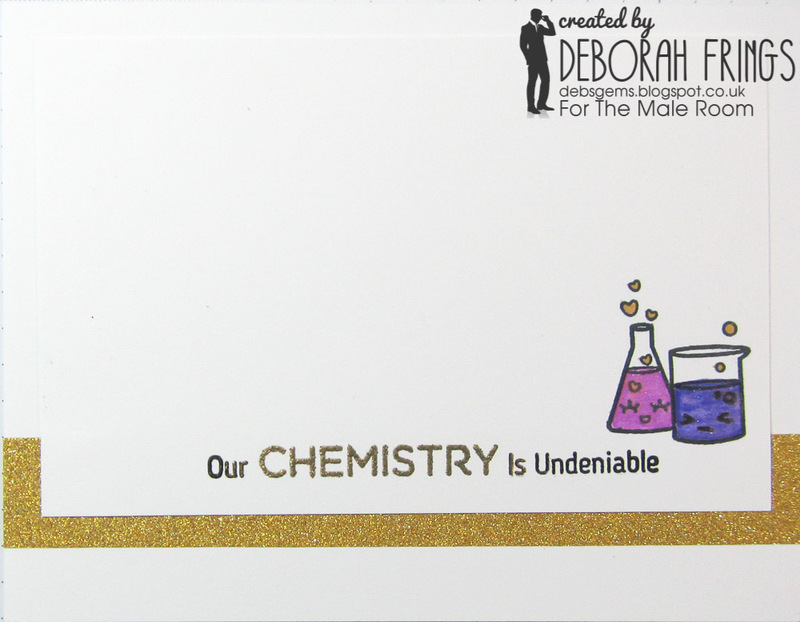 I repeated the sentiment and embossed the word chemistry in gold. I stamped the cute glassware image, heat embossed with clear powder and coloured it with Zig brushes. I added some sparkle with a clear Wink of Stella brush. 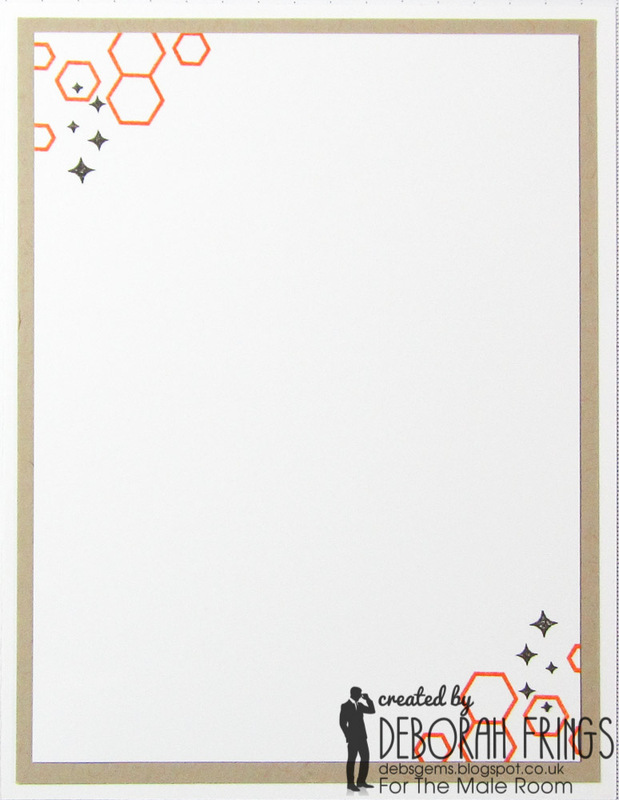 I attached a strip of gold glitter washi tape to the card and then adhered the panel on top. On the inside I cut a mat layer of purple card and on the white panel added a sentiment and another image, heat embossed with clear powder and added a touch of colour too. I may end up making some more "science/chemistry" themed cards for my stash - they satisfy my inner nerd!! Do visit our blog to see more inspiration from the rest of the Design Team - as always they are fantastic. You've got lots of time to play along with the challenge - deadline for submission is midnight GMT Tuesday 22nd November (that's 7.00pm EST). Bye for now! Well you certainly didn't struggle with this theme! Two super cards, love the colours of the first and the simplicity of the second. Love both your take on CTS, and CASology Deborah! Love the science play on words here! 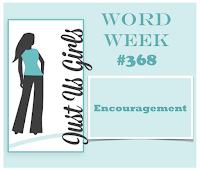 Terrific job with our word this week over at Just Us Girls! Thanks for playing along with us! 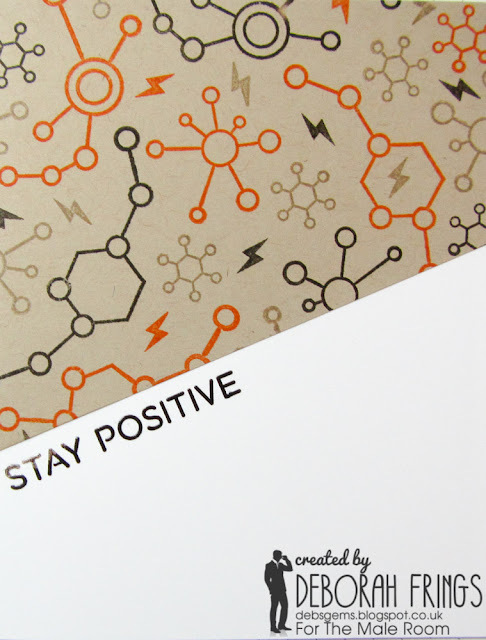 LOVE your "nerdy" cards, you really are so VERY creative. Love the take on the sketch. Such a cute little card! Thanks for sharing at Less is More! 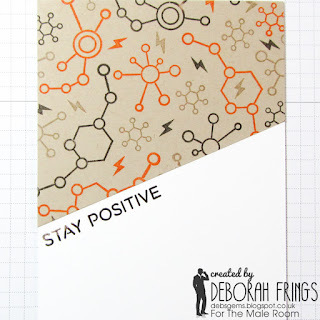 I love this science theme with the Stay Positive sentiment, so perfect for our Encouragement Challenge! Such a creative play on words. Thanks for playing with us at JUGS! 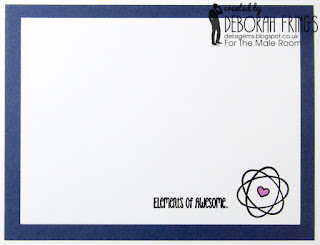 Love them, science is a really good theme for masculine cards and these are great! Great cards, Deborah. 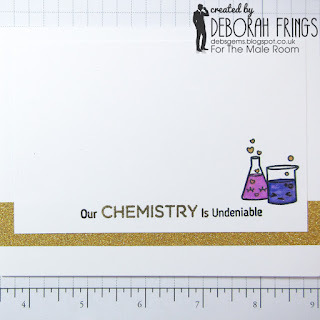 Your purple and gold card is perfect for our challenge, love how CAS it is, look at all that yummy white space! Both of these are so much fun, Deborah! Brilliant combo of challenges on the first card and the little beakers on the second card are adorable! Thanks for playing along with CASology this week! Hello Deborah! Super cute card!! Thank you so much for playing with us this week at CASology. Great way to incorporate all those colors! Love it! 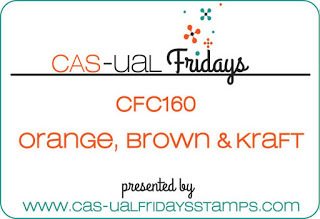 Thanks for playing along with CAS-ual Fridays The Challenge this week! CAS card perfect. Thank you for your comment on my blog.